Returning from a protracted sojourn, JC Sona is back and quick out of the blocks with his latest single “Nakhro”. A hip-hop based jam underpinned by Desi melodies, typifying his style for which he has commanded a following worldwide. 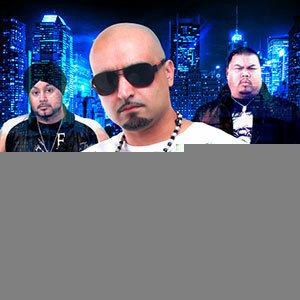 His tracks with the Sona family became a global phenomena, with “Glassy” picking up accolades as far and wide as Atlanta, and “Taali” being signed to a Bollywood film, as well as featuring on hit TV series The Hills and Las Vegas. JC Sona’s influence reaches far and wide, encompassing Europe and North America, with his DJ sets in demand across Asia and the heights of the Australian scene, vibrating through Radio Stations and dance floors worldwide. With all things to list JC Sona returns with an explosive single that hints at a yet more refined and subtle sound for your speakers. “Nakhro” features Dalvinder Singh, a tried and tested formula that reaped its rewards when they previously locked horns for Kazz Kumar’s “Dirty Word” remix. This beat leans more towards the Desi end of the Urban spectrum compared to JC Sona’s earlier work. Tino Attlia also features prominently and his rapping style, (to a degree reminiscent of the sounds of Nelly), fits the stripped down laid-back hip-hop beat of “Nakhro”. JC Sona strikes a balance between the hip-hop and bhangra elements that have been such a huge influence on his own musical journey. The outcome is a seamless fusion of Dalvinder Singh’s tumbi-infused verses and the hip-hop prowess of Tino Attlia. “Nakhro” will undoubtedly unleash devastation on Dance floors the world over with it’s simple yet infectious beat and catchy vocals.